Ginge-built megalithic complexes and the lost tribes of Ginge. 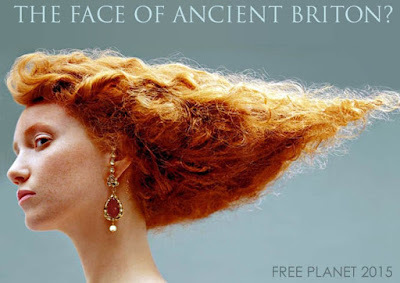 in my search for the elusive Ginger Geneline of Ancient Britons, I started wondering if there was a link between the gene of gingerness that remains in western areas of Great Britain and Atlantic Europe and down through Morocco and into Egypt and Turkey and western Russia. And 'pockets of gingerness' did indeed project back through these historical sites, matching to ancient stone circles. It's kinda spooky. The Gobekli Tepi animal-inspired carved-stone circle complex in Turkey is the furthest back in time, dating to 9,000 BC. The next furthest back in time stone megalithic site is the Nabta Playa complex in Egypt, dating to 6,000 BC. Interesting stuff right, but there's like a HOLE IN THE MIDDLE of this ginger-gene neolithic-circle, the hole is the place where 'something awful happened' in pre-history that allowed the darker-haired southerly gene and the lighter-haired northerly gene to move in. We're talking about a bullseye somewhere in central Europe between Sardinia and Romania. Shrugs... research continues... ideas and concepts come and go. 2008: Bukkakeworld and Planet of the Owls novels. 2011: Yoroppa and View from a Stolen Window novels. 2015: Free Planet and War World dual-duelling trilogies.